Cincinnati TV station WLWT is stating that no charges will be filed against Chris Henry in case of alleged assault. The 16-year-old and his family stopped cooperating with police and two other suspects were identified in the attack, Florence police said at a Friday news conference. Police did not identify the men, other than to say they were from Florence. A teen had said last week that Henry, who is on probation for a 2006 firearm conviction in Florida, and another man jumped from an SUV and assaulted them June 8 near Mount Zion Road. 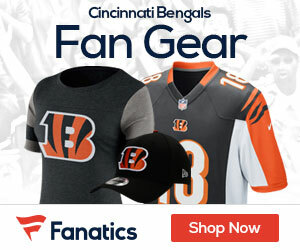 The boy also said Bengals wide receiver Reggie McNeal was inside the vehicle during the attack. A league source told WLWT after those reports had been made public that the allegations had been fabricated. Henry is among nine Bengals to be arrested since the end of the 2005 season, and he’s not the only troubled player to be the subject of conflicting reports of alleged misbehavior. Last week two men accused Bengals linebacker Odell Thurman, who is eligible to apply for reinstatement to the NFL following a one-season ban for substance abuse violations, of assaulting them earlier this month at a party in Georgia. However, the men dropped their claims before a scheduled court appearance and no charges were filed against Thurman.